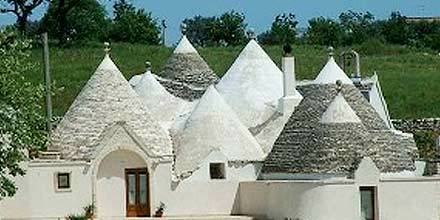 Italy Packages from TourCrafters - Fugazi Travel Agency Inc.
Puglia is a treasure of art, history and nature. It is the land of sun and hospitality, located in the south-eastern part of Italy, in a strategic position in the heart of the Mediterranean. Centuries of history and landscapes of enchantment are some of the wonders that make this place unique for a journey in which to live unforgettable experiences. A magical atmosphere envelops Puglia, where the past marries contemporariness and intact ancient folk and religious traditions are preserved. Here the customs of the past are perpetuated in the rites, linked to the harvest and the fishing, and in the work of the master craftsmen. Authentic Puglia is also enjoyed at the table. Apulian enogastronomy is an explosion of flavors of excellence. Puglia awaits you! Let yourself be conquered by this extraordinary land. 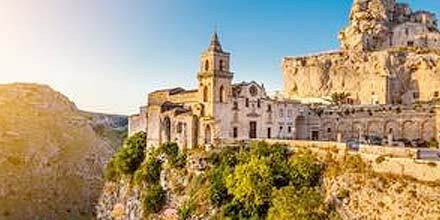 Matera, located in the Southern Italian region of Basilicata has been awarded the title of the 2019 European Capital of Culture in Italy. Since the announcement, Richard Gere, who filmed King David in Matera passed on his congratulations for the city and commented “Matera is a very special place”.